The Razer Nari Ultimate sometimes feels less like a great haptic gaming headset and more of a great gaming headset with haptics thrown in for good measure. Comfort, communication and immersion are the three pillars most manufacturers tend to consider when it comes to gaming headphones. Single-player gamers want headphones that sound good enough to help them get (and stay) immersed in the experience. Multiplayer players want headphones that make online communication as quick and easy as possible. Both of the above want headphones that are comfy to wear over long play sessions. It’s not hard to see the logic here. And like most modern gaming headsets, the Razer Nari Ultimate tries to hit all three of these marks. However, it also places a clear emphasis on differentiating from the other options through its implementation of Razer’s unique HyperSense haptic and THX’s own spatial audio tech.The final results are a gaming headsets that's good, different and expensive. 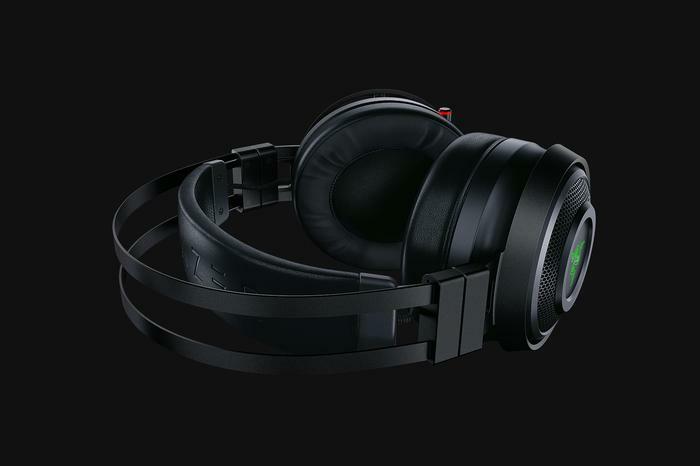 What are the specs for the Razer Nari Ultimate gaming headphones? Razer HyperSense is a new feature, introduced with the Razer Nari Ultimate, that integrates L5 haptic drivers in select gaming headsets to offer more dynamic and accurate haptic feedback to gamers. Like other haptic solutions, Razer HyperSense converts sound signals into dynamic touch-sensory feedback in real time. 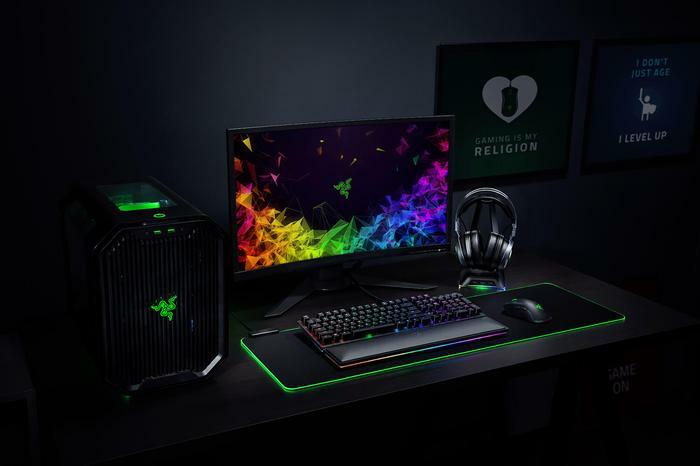 However, Razer claim it’s a significant improvement over rival haptic feedback solutions which are limited by a narrow frequency range, mono reproduction and often require dedicated integration by a developer to be used with any software. 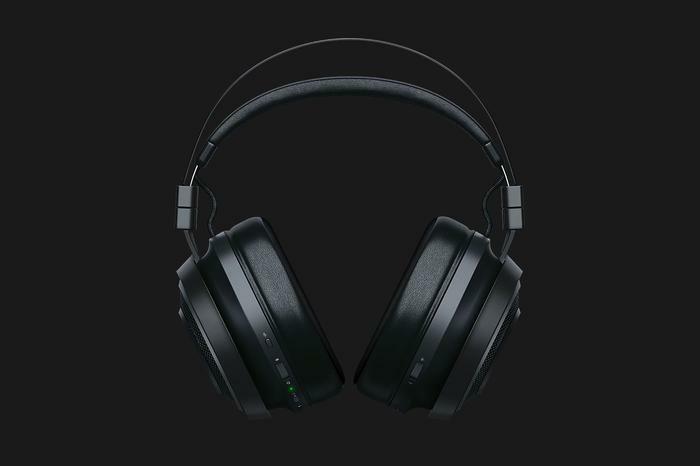 By contrast, Razer HyperSense allows for stereo playback, a wider frequency range and real-time processing that requires no developer integration and works across multiple platforms. What’s good about the Razer Nari Ultimate gaming headphones? At first glance, the Razer Nari Ultimate look like every other pair of Razer gaming headphones. Specifically, the form-factor here evokes the previous Man O’War lineup. However, looking a little closer, the details paint a slightly different picture. The Nari Ultimate also boasts a headband akin to the Thresher, paired up with wider Kraken-style earcups. These earcups house the Nari’s other, less prominent, key feature: cooling gel. This might sound just as gimmicky as the Hypersense haptic feedback does but, in reality, it actually made wearing what are otherwise pretty bulky headphones pretty cool and comfy. The feature didn’t always hold up in Australian summertime weather but, when it came to general-use, it did the trick. 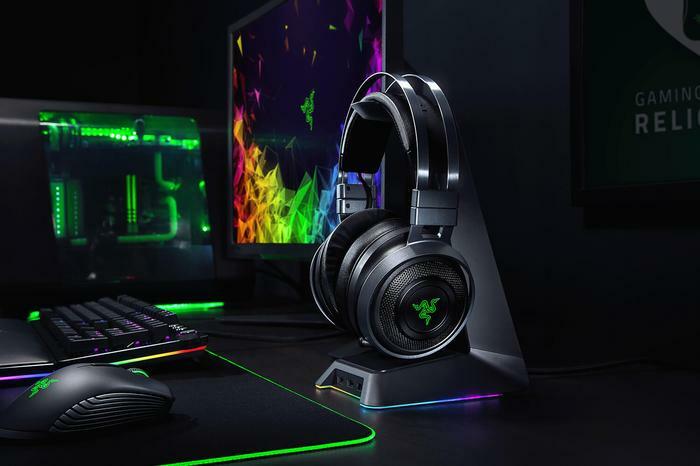 The Razer Nari Ultimate pulls in many of the best parts of Razer’s other headsets and the sum total of this cribbing is easy enough to see, wear and enjoy. That said, I wish the volume and mute buttons were a little more user-friendly in their size. They're a little too small and annoying to find. Still, there’s a definite flexibility to the Nari Ultimate that I quickly grew to appreciate. You can use them either as wired headphones or wireless ones, though opting for the former will reduce it to regular stereo output and disable the haptics. Speaking of the Nari’s signature feature, Razer’s HyperSense tech actually ended up being quite neat in action - providing you find the right sweet spot for intensity. Even on the middle-of-the-road settings, it can sometimes be a little too overwhelming or distracting if you’re listening to bass heavy music. When it comes to in-game experiences though, the haptic feedback enabled by the Nari Ultimate does add a little bit of extra punch to sound effects that you won’t be able to get out of other headsets. It’s genuinely unique and different - even if I get the sense that this feature isn’t going to resonate with everyone and may well lose novelty over the long haul. Likewise, I found that the THX spatial audio offered by the Razer Nari Ultimate also presented a boon to multiplayer shooter experiences like Call of Duty: Black Ops 4 and Overwatch. Though the effect wasn’t always consistently noticeable, the ability to actually hear which direction sound effects were coming from sometimes make a key difference in the heat of the moment. The other thing I really dug about the Nari was just the sheer breadth of customization available through Razer’s Synapse software. Pretty much every aspect of the audio experience here can be tinkered with - and it’s quick, easy and satisfying to do so. Razer's hardware has always been exceptionally augmented by their software, the Nari Ultimate is no different in this regard. What’s not so good about the Razer Nari Ultimate gaming headphones? As said above, in the right circumstances, the haptic feedback in Razer’s Nari headphones can be genuinely quite impressive to behold and to experience. However, I often found that I’d pretty much have to crank the volume on the headset up to the max in order to actually get the most out of the feature. On lower volumes, I’d barely feel anything. The fact that you're limited to eight hours of usage per charge isn't great either. Then, on the communication side, I found that using this headset actually netted complaints from other players in Overwatch over the mic quality. These complaints came from my regular ground, who have heard me cycle through a string of headsets in recent months without issue - so the fact that it came up at all says something. It's shame really because, otherwise, I actually really dig the design of the mic on the Nari Ultimate. When not in use, you can slide it back inside the headset and adjusting its positioning only takes a quick nudge. Is the haptic feedback the Razer Nari Ultimate really that unique? Given that the integration of Razer’s HyperSense tech is the major point of difference between the Nari and not just other gaming headsets but also most of the Razer’s own stable, it shouldn’t surprise that Razer are playing up the haptic feedback in the Nari Ultimate as the main selling point for the product. It feels like this headset thrives where those others have quietly languished because it isn’t saddled with weird limitations and can already be considered a quality gaming headset even before you bring the haptics into the picture. 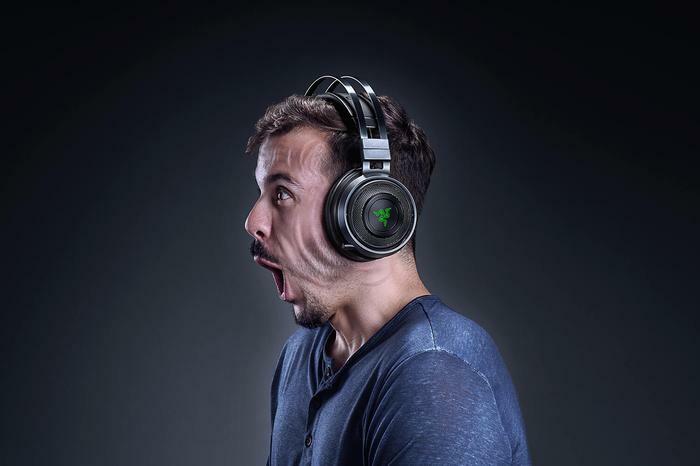 The Bottom Line: Should You Buy The Razer Nari Ultimate Gaming Headphones? Though the form-factor left a little bit to be desired and it is quite expensive compared to the competition, the overall quality of the experience leaves me inclined to recommend the Razer Nari Ultimate gaming headphones for those who can stomach that higher price. The haptics here aren’t bad or hackneyed but they never feel wholly necessary either. At times, the Razer Nari Ultimate sometimes feels less like a great haptic gaming headset and more of a great gaming headset with haptics thrown in for good measure. Ultimately, the Nari Ultimate are a set of Razer gaming headphones with every bell and whistle you can think of - and then some. Even if you’re dubious of the haptics, that’s still a great package.